Let me start by saying that I admit there is a problem with loot boxes, microtransactions, and some of the ways that developers and publishers have tried to monetize their games post-launch. I fall somewhere in the middle of the issue. Game development costs are on the rise. Studios need to be able to maintain live servers and support, and the perception of value of games is diminishing greatly with deep discount sales, free game collections, and people buying used titles. On the other hand, we’ve seen some aggressive monetization practices that have gotten in the way of what’s supposed to make a game fun. 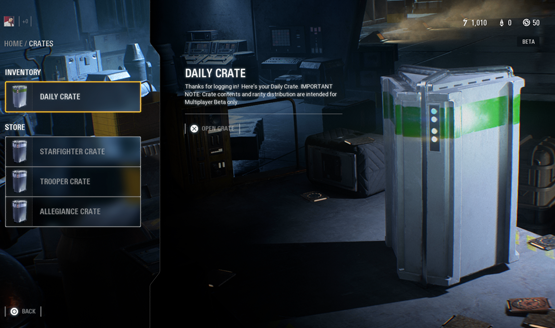 The conversation around loot boxes took on new life back in November 2017 when Star Wars Battlefront II launched. Gamers had been kicking the topic around for years before, but it was the Star Wars name, Disney ownership of the franchise, and the impending release of the eighth episode in the Star Wars film saga that really brought things to the public eye. It was a perfect storm that took the conversation outside of the industry to parents and lawmakers who have valid and legitimate concerns, while not fully understanding the thing they are trying to regulate. I’m not saying their intentions aren’t noble. I, too, advocate for better safeguards to be put in place for minors and those who suffer from addictions to gambling-like behaviors, but there’s a danger to letting governments step in and administer control. 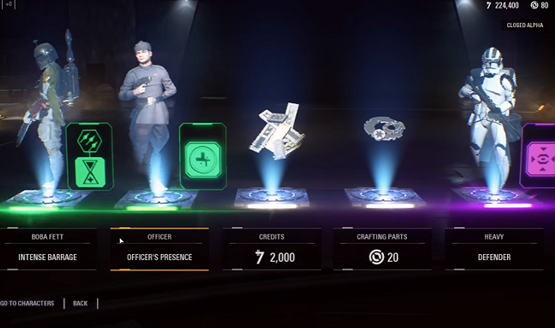 In the latest step in a saga that will change the course of the industry, Belgium confusingly ruled that loot boxes do indeed constitute illegal gambling, and developers must take actions or face jail time and fines. Now, I say “confusingly” because it’s not nearly as cut and dry as that. To speak of a game of chance, the Gaming Commission uses four parameters. If there is a game element, a bet can lead to profit or loss and chance has a role in the game. In the case of FIFA 18, Overwatch and Counter Strike: Global Offensive, the Gaming Commission decides that the system of loot boxes forms a game of chance that is subject to Belgian gaming law. The developer of Star Wars Battlefront II made some adjustments shortly after the launch, so that the system of loot boxes in that game no longer technically forms a game of chance. Of the four games investigated, only the one that set off the whole loot box uproar was actually considered not gambling. In all likelihood, the investigation simply covered Battlefront II after in-game purchases were removed at launch and hasn’t accounted for the recent update that added microtransactions for loot boxes back in last month. But does that mean Battlefront II actually is subject to the gaming law now? What about other games outside of these four that were actively investigated? Instead of putting time in to investigate video games and loot boxes in accordance with the current gaming laws, perhaps they should look at drawing up new and clearly defined laws for developers to follow. Or better yet, work directly with the developers, publishers, behavioral psychologists, and others to ensure that any regulation is thought out and researched. I’ve long advocated that Overwatch does loot boxes right. There’s no external resellable value to the items you can get, and they offer no in-game advantages. Loot boxes can be earned in-game just by playing, and purchases with real-world money are simply shortcuts to that process. In fact, they’ve even made the loot boxes more consumer friendly by decreasing repetition rates and adjusting the ability to get rare time-limited event cosmetics. Can they still present a problem for those with addictive behavior issues? Absolutely, but I don’t think gambling laws are the right regulations to shoehorn them in under. With an ever-evolving tech market, we need to adapt and amend, rather than try to fit outdated legal definitions around modern technology and entertainment. Let’s take a look at the four things Belgium considers when looking at games as illegal gambling. “If there is a game element, a bet can lead to profit or loss and chance has a role in the game.” One could argue that the Belgian Gaming Commission’s definition could easily be applied to nearly every mobile game, a ton of console titles, loads of PC releases, and even physical products like trading card packs and blind boxes. Physical products are likely spared by the line that denotes “game element,” but outside of that, why only investigate four games? How does Belgium’s ruling impact titles not included within this list? Are Destiny 2’s Bright Engrams impacted? Will Belgian Call of Duty players still be able to get drops on the beach of Normandy? Game element is obvious. Games are games, so by default, they indisputably fall under this part of the definition. Randomization certainly means that chance plays a role, so we’re left looking at the two other pillars: a bet and profit or loss. What is constituted as a profit or loss in the commission’s eyes? Overwatch’s cosmetics have no individual monetary or resale value. In fact, they cannot be resold at all–short of selling your whole account, which is against the terms and conditions. The value is artificially manufactured by the player’s desire to get the item in question. In traditional gambling, there is objective and measurable value to the bet. Put $5 into a slot machine or on the blackjack table, and you can walk away with either zero dollars or multiply that money into a greater win. Opening a loot box in a game constitutes a whole different perception of value based purely on the individual doing it. For gamers, the value of the items obtained would be much higher than a non-gaming regulator, who could feasibly look at even the most rare and coveted of Overwatch cosmetics and find them to be worthless. My mother would consider all loot box purchases to be a “loss” even if she got the rarest and most coveted cosmetic items. She doesn’t play games, so a loot box purchase has no chance for profit, emotional or otherwise. On the other hand, she could throw money down in a casino and come away objectively better than before. Even among gamers, the value inherent to any given item could differ wildly. Maybe I like the rare outfit far more than the legendary. Subjective opinions completely alter my value perception of what I want the loot box result to be. The question we have to ask is if emotional profit and loss counts? The “profit and loss” is determined purely by the player, rather than objectively by market value. $5 worth of loot boxes turns into randomized digital goods, which do not retain any monetary value. This falls in line more with a product purchase (similar to booster packs of trading cards and blind boxes for figures) and less with placing a bet. 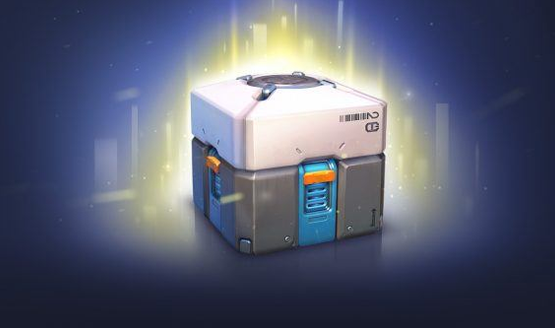 Money spent on loot boxes is a purchase of a randomized experience that can create emotional highs and lows for the player based on their own perception. But the money spent is objectively gone with no opportunity for a return outside of the game based on the results of the loot box’s random rolls. As I’ve written about before, I do think there is a problem that ought to be regulated and looked into. But I think it needs to be looked at by the right people and in the right way. New laws need to be written. Value needs to be clearly defined, perhaps by rarity of items or other criteria that isn’t entirely subjective. Can players earn the same items through the game without making a purchase? Are players compensated when getting duplicate items, so that they still have some sense of value? All of these questions need to be asked, and gaming industry leaders who understand the video game industry need to step forward and create their own regulations before we have someone else stepping into our hobby and doing it for us. Once their foot’s in the door, there’s no telling what else they’ll mess around with. What research was done into these games to see if they checked all the right boxes to be considered illegal? Who is doing that research, and are they well-versed enough in video games to actually know what they are looking for or what they are talking about when going back to the commission and making a ruling? Yes, loot boxes do play on many of the same psychological techniques that gambling uses, but I would consider it gambling adjacent. There are enough things that make them different (again, the perception of value versus objective value) and the ability to earn them in game without spending money) that blanket gambling regulations simply do not do justice to the issue. Belgium’s ruling leaves more questions to be asked than those it answers, and it creates a very slippery slope. While the press release from the Ministry of Justice only calls out three games (four with the supposedly “gambling-free” Battlefront II), the ripples of this decision are going to be felt industry wide. On one hand, I’d imagine that developers and publishers are shoring up their legal teams right now and preparing the fight the ruling. They’ll fight tooth and nail arguing that there is no inherent bet, profit, or loss in loot boxes aside from those set purely by player expectations, which the company cannot control. Once you start down that road, you have to begin looking at other marketing tactics that elicit the same kind of addictive and “fear of missing out” responses that create emotional profits and losses. On the other hand, if Belgium’s decree about illegal gambling in video games does stand, it sets a dangerous precedent. Loose definitions set by those that don’t understand games can make changes based on weak perceptions of what our industry actually is. When you’ve got a problem with the food in the kitchen, you don’t call a mechanic to come in and fix it. Likewise, if my car is in trouble, I’m not going to ring the local chef to pop the hood. Blanket regulations for gambling in casinos are not good enough. Loot boxes do need to come under scrutiny, but government’s current way of tackling the issue feels lazy and uninspired, using decades old laws meant for casino gambling and brushing Overwatch loot boxes under the same rug as slot machines and blackjack tables. The video game industry needs to stand up, clearly define regulations, and solve this problem itself, or we’re in for a massive shakeup that could change the face of video games as we know them–and probably not for the better. We’ve reached out to a number of studios including Blizzard, Bungie, and EA for comment on the Belgium ruling.